Deliciousness! I would gladly eat these tonight. In fact, I think I shall. 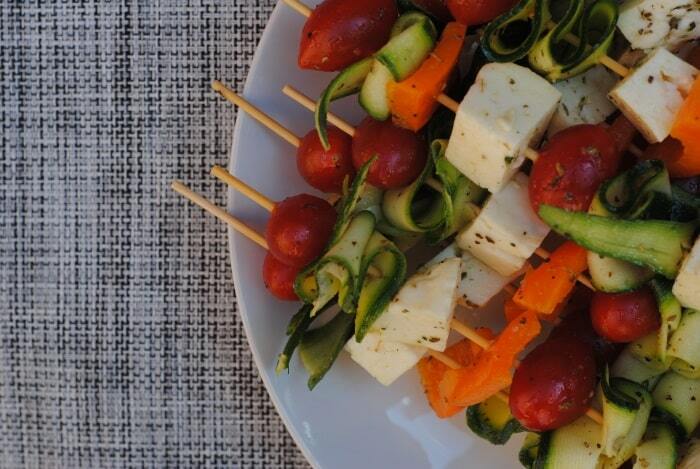 What a healthy, delicious snack or perfect at a BBQ Pinned and shared! This looks fantastic, love all the veggie! 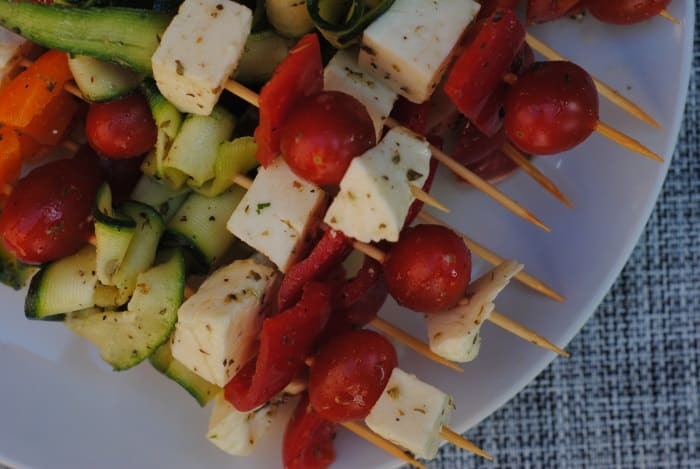 Perfect for summer gatherings or BBQs! All BBQs should have these skewers. Imagine if you COULD put halloumi on everything. That would be awesome! Halloumi sounds like Indian paneer to me, but I have never tried Halloumi before! Let me see if I can find it here to try 🙂 thanks for sharing, Dannii!! You would think it would be similar, but it’s fairly different. I am not actually a fan of paneer, it’s a little too soft for me. Looks so yummy 😀 I was thinking of making a halloumi recipe today. It’s such a great substitute for meat! It really does. Trouble is, I can eat way too much of it. 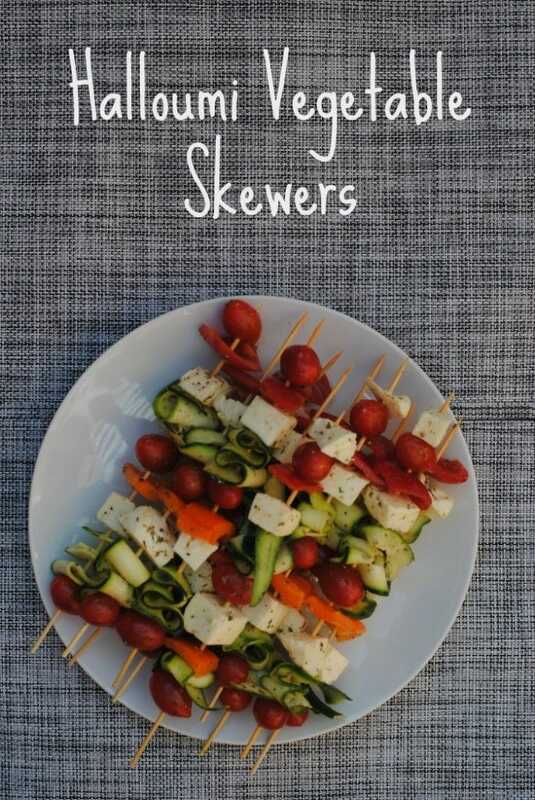 Halloumi vegetable skewers sounds very interesting, will love to try this sometime..
Halloumi cheese with vegetables on a BBQ sound like a perfect combination. My kids love this combination. Simple and healthy way to enjoy a meal. It’s a good way to get some extra veggies in your diet. It’s typical, isn’t it. Although a nice walk in the rain once in a while is good. Isn’t halloumi great! I had some last week and was sad when he packet came to an end. Love the skewer idea. Have you tried the chilli halloumi? That’s really good too.